Lytag® Sports Drainage Media. A sustainable, lightweight drainage material - prepacked for ease of handling - used extensively for drainage on golf course fairways and greens as well as other sports surfaces. For bulk loads please contact our sales office on 01889 580660 , email sales@specialistaggregates.com. Density: Sportag® is a lightweight aggregate with a bulk density at point of supply of approximately 800 kg/m3. ie volume for volume Sportag ® is half the weight of "normal" limestone or gravel drainage aggregates. Moisture Content: As supplied 4-8mm Sportag ® is likely to contain a natural moisture content of 15%. Sportag® is a sintered lightweight honeycomb aggregate that is frost resistant and will not break down when saturated with water. Manufactured in the UK by Lytag®, Sportag® contains a minimum of "fines" making it an idea drainage medium. Sportag provides excellent hydraulic conductivity making it the professionals' product of choice for slit trenches, gravel banding and for use with Shelton Trenchers. The product is used for both the construction and retro-fitting of drainage on golf courses. Sportag® also finds application for other sporting surfaces including granular backfill to open trenching and turf slitting. Stability: Sportag® does not degrade, clog or impede drainage, providing excellent performance and long life to drainage schemes. Cost Saving: As Sportag® is half the weight of natural drainage gravels. For a given weight, cost savings of over 50% can be made on deliveries from single pallets up to full lorry loads. Ease of Placing: Being a rounded aggregate, Sportag® can be poured direct from the bag potentially reducing the need for specialist placing equipment. Use in soft ground: In wet and difficult ground conditions packed Sportag® can be used when it would be difficult to transport heavier natural aggregates. Particle Shape: The rounded particle shape of Sportag® prevents damage to plastic pipes and membranes. 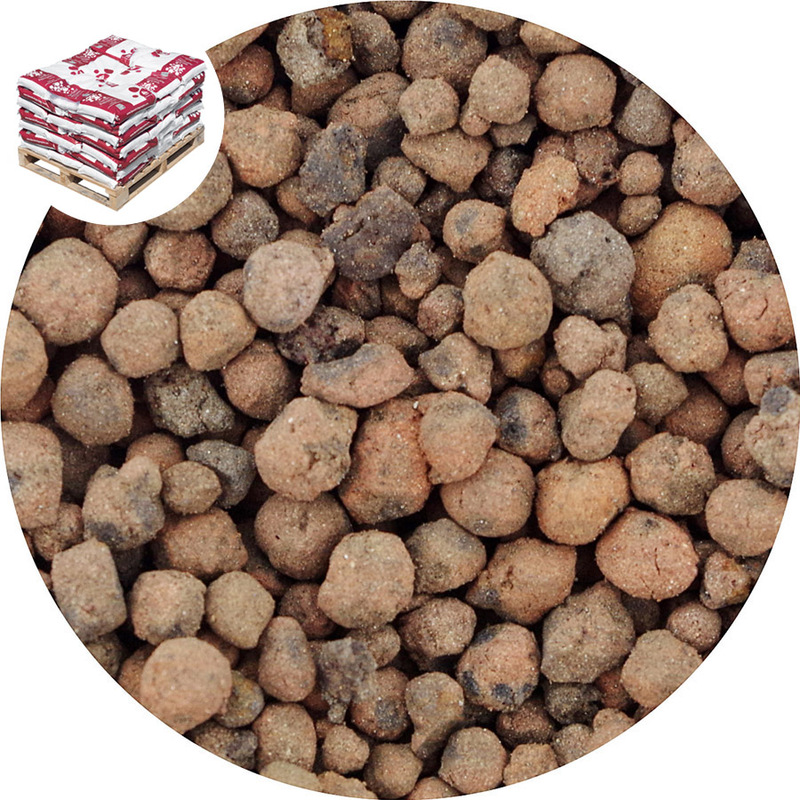 Non Compactable: Irregular shaped natural aggregates compact and silt up over time. Sportag's® rounded shape maximises voids for efficient drainage and aeration. High Drainage Volume: Non compactability and high hydraulic conductivity provide for high drainage volumes. Typically a soakaway system using Sportag® can retain up to one third of its weight in water. The Sportag® particles absorb and retain up to 20% of their own weight in moisture, helping to reduce drought stress in hot, dry weather. Due to Sportag® being half the weight of natural drainage aggregates, handling is less arduous and the risk of physical injury is reduced. Sportag ® Sports and Land Drainage Aggregate is manufactured in the UK from reclaimed power station fuel ash (PFA). Sportag® is made by pelletising and sintering pulverised fuel ash in a rotary kiln at a very high temperature. As it is fired, moisture in the pellets expands to produce a honeycombed core while the outside surface of each granule fuses to a ceramic shell. The resulting granules are lightweight, porous, and have a high resistance to crushing. Sportag® is manufactured from former coal fired power station ash, hence allowing for land formerly used for landfill to be reinstated. As Sportag® is approximately 50% the weight of “normal” drainage aggregates, twice the volume can be carried, reducing vehicle movements both on and off highway. 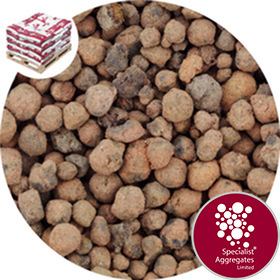 Specify: 4-8mm Sportag Sports Drainage Media from Specialist Aggregates.